On August 8, 2017 at approximately 6:45 AM, a 66 year old woman was in the parking lot of the Zoomerz gas station and convenience store, located at 1673 Fort Henry Drive in Kingsport. She was counting a significant sum of cash in plain sight. A white male suspect, later identified as John T. Ashworth, spotted her and decided that he was going to rob her. The woman rode her bicycle across the street to Crown Point Shopping Center, located at 1205 North Eastman Road, where she stopped to rest. Mr. Ashworth followed her in a pickup truck. After circling her in the truck a couple of times, he parked nearby and approached her on foot. He had his face covered with an article of clothing to conceal his identity. The victim saw him approach, sensed what was about to happen, and attempted to leave. Mr. Ashworth blocked her egress and snatched her purse, shoving her and her bicycle to the ground in the process. The victim sustained some minor abrasions during the attack; however, she was fortunately able to avoid serious injury. A Good Samaritan was conducting unrelated business in the shopping center and witnessed the entire incident. Without hesitation, he selflessly drove his vehicle across the parking lot and strategically parked it in front of Mr. Ashworth’s pickup in an gallant effort to prevent his escape. Mr. Ashworth immediately accelerated and rammed the Good Samaritan’s vehicle, pushing it to the side, and sped out of the parking lot. The Good Samaritan then chose to go even a step further and follow the suspect in an attempt to keep him in sight. Meanwhile, a Kingsport Police Department School Resource Officer had stopped at the shopping center on his way to work and was fortunate enough to be at the right place at the right time. The Officer saw the aftermath of the incident, to include the victim on the ground and the vehicles speeding away. He immediately checked on the victim, gathered the basic facts, and pursued the two vehicles. Suspecting that a description of his vehicle was already being circulated, Mr. Ashworth soon abandoned his pickup nearby in a random driveway in the 1500 block of Pineola Avenue and began nonchalantly walking away. Multiple Kingsport Police Officers converged on the area, quickly spotted Mr. Ashworth, and captured him without further incident. He was still in possession of the victim’s money. 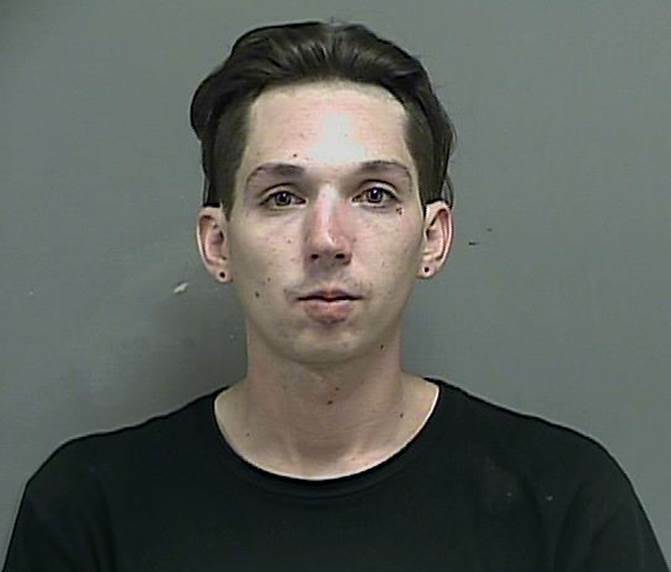 He was transported to, and incarcerated within, the Kingsport City Jail where he currently remains confined, pending arraignment, on the charges of 1) Robbery, 2) Aggravated Assault, 3) Leaving the Scene of a Motor Vehicle Collision, and 4) Failure to Comply with Financial Responsibility (No Insurance). It is extremely important to note that this was, without a doubt, a crime of opportunity, and the victim in this incident was targeted for a very specific reason. Mr. Ashworth openly admitted to Officers that he saw her counting the money, could tell that she was not really paying attention to her surroundings, and would therefore be an easy target. The Kingsport Police Department strongly discourages the public displaying of cash or other valuables that would attract the attention of a morally compromised individual, and strongly encourages the practice of good situational awareness. Following these and other basic personal safety tips can more often than not help prevent a person from being targeted by a would-be criminal. The Kingsport Police Department would also like to take this opportunity to commend the Good Samaritan whose courageous actions helped bring a societal predator to justice. In a day and age where most people find it easier to simply look the other way, he clearly went above and beyond.